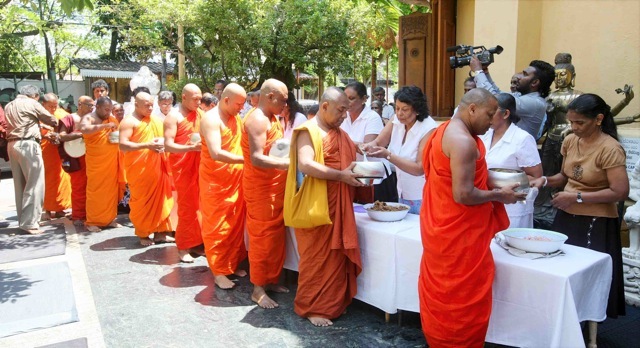 An alms giving was held under the patronage of Ven.Galaboda Gnanissara Thera, the Chief Incumbent of Hunupitiya Gangaramaya, Colombo to bestow merits upon those who lost their lives in Japan due to the tsunami devastation. 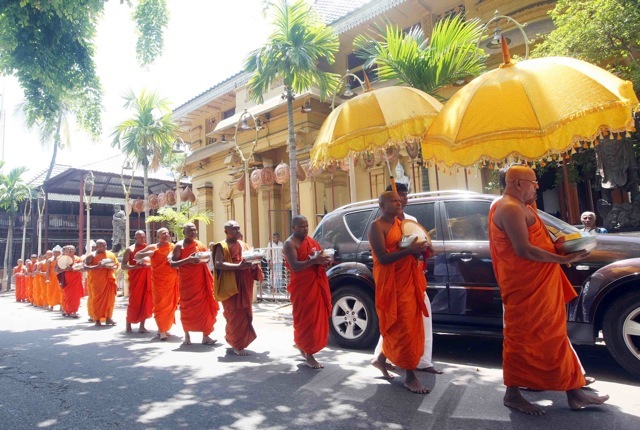 Secretary to the President Lalith Weeratunga , staff of the President’s Office and the members of Gangaramaya Dayaka Sabha were present at the occasion. 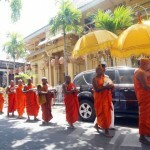 Japanese residents in Sri Lanka as well as other devotees were invited to participate in these special religious services as well.